WASHINGTON — Fifty years ago this week, the third infamous political assassination of the 1960s hit the United States. 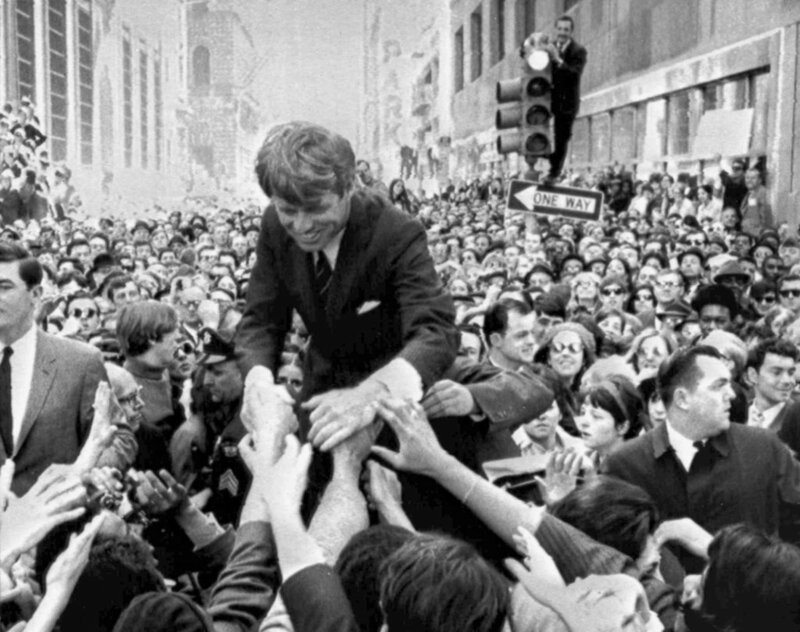 Sen. Robert F. Kennedy was shot June 5, 1968, right after giving a speech to celebrate his victory in the California Democratic primary for president. He held on for about 24 hours, but died June 6. He was 42; his wife, Ethel, was pregnant with their 11th child. He was the younger brother of President John F. Kennedy, who was assassinated in 1963; his death came just two months after the Rev. Martin Luther King Jr. was killed April 4, 1968. Kennedy’s death, in the middle of a presidential campaign, raises questions about what might have been and what the country lost. Peter Edelman, now a professor at the Georgetown University School of Law, was a Supreme Court clerk when he met Robert Kennedy, then U.S. Attorney General, in 1962. He began working for him in the Justice Department and stayed on, as did Kennedy, after President Kennedy was assassinated. By 1964, Edelman had decided to go to work for a New York law firm. Or, he had — until he found out that Kennedy was going to run for a U.S. Senate seat from New York. He went to work for Kennedy’s campaign, becoming the expert on incumbent Republican Kenneth Keating’s record. 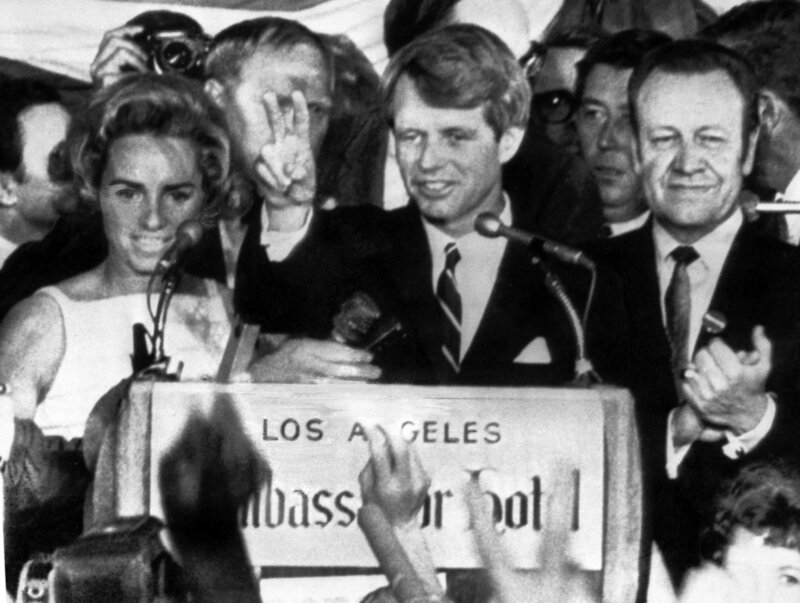 After Kennedy won, the newly minted senator offered Edelman a job. Edelman’s immediate boss told him he should take the job for two years, then go into private practice. That never happened. When Robert Kennedy worked for his brother as campaign manager and then attorney general, Edelman said, he had to align his policy preferences with the president’s. 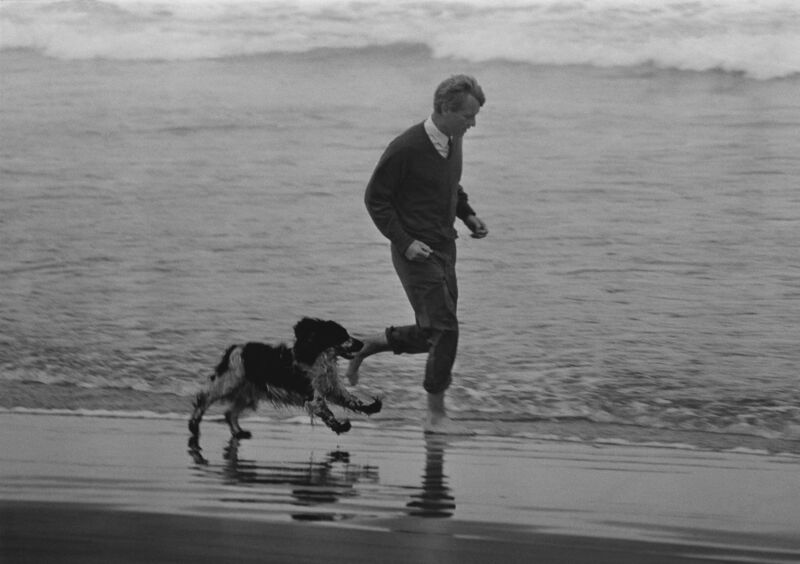 After John F. Kennedy’s death, “Robert Kennedy [had] to do it on his own. … [And] what shows up immediately are these questions about poverty and race [on] the top of the list on the domestic side.” He also became a strong voice against the Vietnam War, as well as for nuclear de-escalation and against apartheid in South Africa. Kennedy’s advocacy for the powerless was perhaps unusual for someone who grew up with immense power and wealth, but Edelman said that was his way from early on. “The friends that he made at the schools he went to were typically people who were there on scholarship, [or] on the edge of society one way or another,” Edelman said. The future senator’s best friend in high school at the Milton Academy was Dave Hackett, whom Edelman described as “a townie, from a lower-income family, there on scholarship.” Kennedy eventually appointed Hackett to a presidential committee. Working for Kennedy gave Edelman even more: He met his wife while working for the senator. Civil rights lawyer Marian Wright, who worked with King and later founded the Children’s Defense Fund, testified in 1967 before a Senate subcommittee on poverty. She explained the extreme poverty people were facing in her native Mississippi — “children with swollen bellies and sores on their arms and legs that weren’t getting any better” — and said Kennedy, a member of the subcommittee, should come and see for himself. Kennedy agreed, which didn’t surprise Edelman — he visited people whose own senators had never been to see them — and Edelman went ahead to Mississippi to set up the trip. While there, he saw Wright again; they’ll celebrate their 50th anniversary next month. In January 1968, Kennedy said there were “no foreseeable circumstances” under which he’d run for president. On March 16, he announced he was running. Edelman was one of the few people Kennedy told about his candidacy before the announcement. He says that’s not how it happened. Edelman worked on the campaign, at first staying in Washington but eventually going on the road with the candidate. Edelman left California on the morning of June 4 for D.C. He wanted to see Wright, his fiancee at the time, “and also I hadn’t paid my income tax yet.” He also wanted to start getting ready for the New York primary, which was a week later. 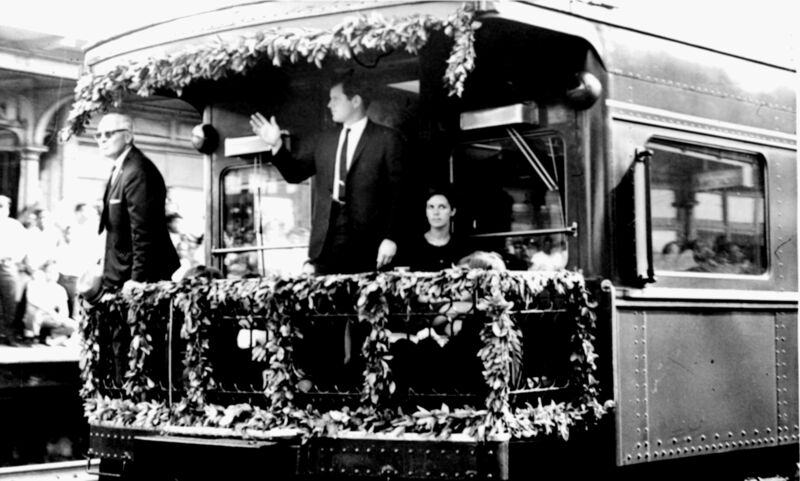 As June 4 turned to June 5, Kennedy wrapped up his victory speech at the Ambassador Hotel in Los Angeles with “On to Chicago!” – the site of the Democratic National Convention. Minutes later, as Kennedy shook hands with supporters and workers in the hotel’s kitchen, he was shot by Sirhan Sirhan. Few will have the greatness to bend history itself, but each of us can work to change a small portion of events …. It is from numberless diverse acts of courage and belief that human history is shaped. Each time a man stands up for an ideal, or acts to improve the lot of others, or strikes out against injustice, he sends forth a tiny ripple of hope, and … those ripples build a current that can sweep down the mightiest walls of oppression and resistance. 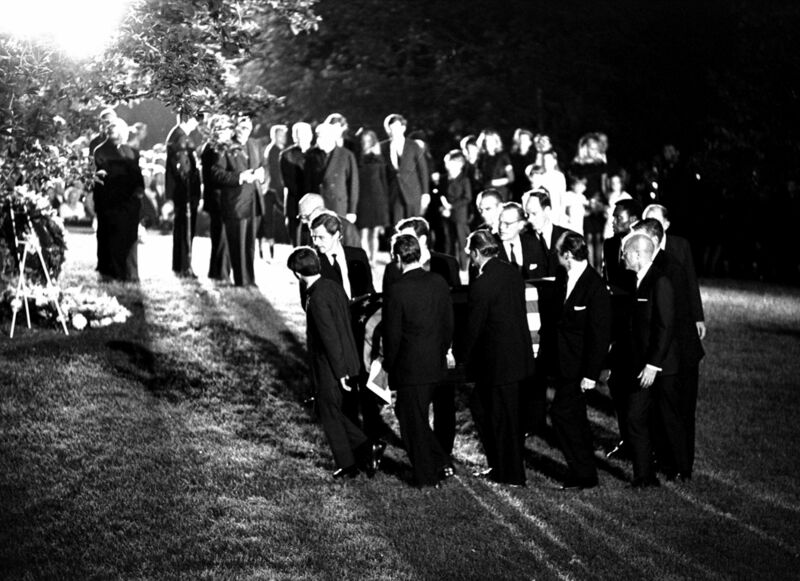 Kennedy was laid to rest that night in Arlington National Cemetery. In between came the experience that makes Edelman’s voice go soft half a century later: the train that brought Robert Kennedy’s body from New York to D.C. It rolled into Union Station about four and a half hours late, due to the thousands of people who turned out to salute the train, sing, hold flags and signs, or just watch as it rolled by. The question is perhaps inevitable: Would Robert F. Kennedy have been elected president? And what if he had? If that had happened, Edelman said, “You never would have had Nixon as a president. How about that? That’s good.” That means no Watergate scandal, and an eventual end to the Vietnam War, which cost so much in terms of lives and the loss of trust people had in the government. “He would have stopped the war,” Edelman declared flatly. Both of their bosses had been assassinated in the previous two months, but Wright (now Marian Wright Edelman) and Edelman got married in July of that year. They were the third interracial couple to get married in Virginia, just a year after Loving v. Virginia. “We thought we were going to get married anyway,” Edelman said, but between the Kennedy campaign and King’s Resurrection City encampment and other efforts, they didn’t think they were going to have time in 1968. It turned out that they did.